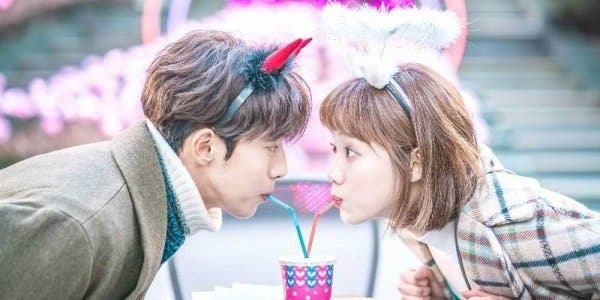 Just a couple of months ago, we found out that the stars of the famous K-Drama ‘Weightlifting Fairy Kim Bok Joo’ are dating in real life. Unfortunately, beautiful things come to an end like their relationship. YG Entertainment, the agency of Nam Joo Hyuk (who played Jung Joon-hyung in the show) and Lee Sung Kyung (who played Kim Bok-joo), did confirm the news that the two have broken up. They simply said that to exclusive reports that “it is true that the two have broken up.We cannot mention the reason why because it is their private lives.” According to AllkPop.com, it has been revealed that the reason behind the breakup was due to “distance from their busy schedules”, but the two will “remain close sunbae-hoobaes”. Other than “Weightlifting Fairy Kim Bok Joo”, the two have also worked together in another Korean Drama, ‘Cheese in the Trap’. It’s a sad day for Weightlifting Fairy fans. Selena Gomez Tries Dubsmash… and She’s Really Good at It!